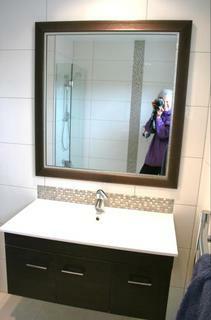 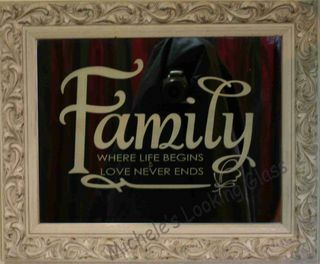 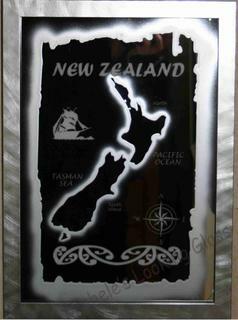 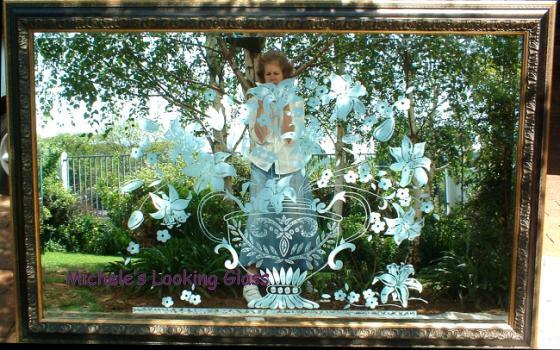 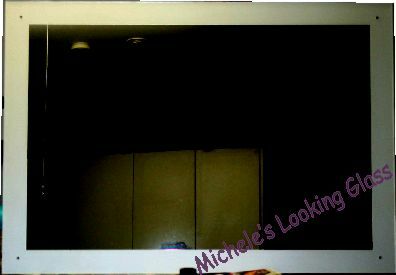 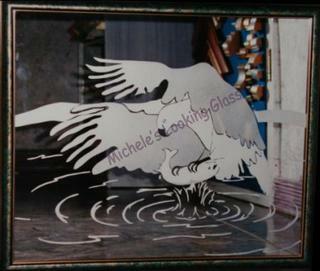 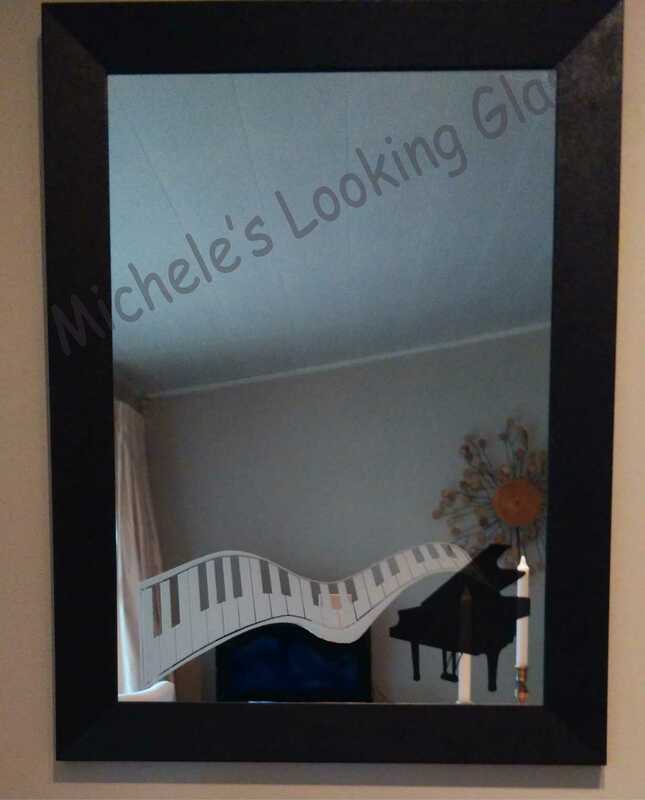 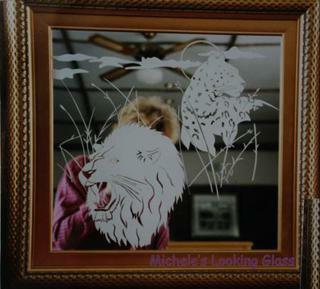 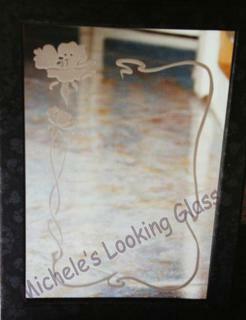 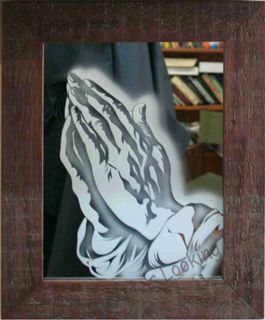 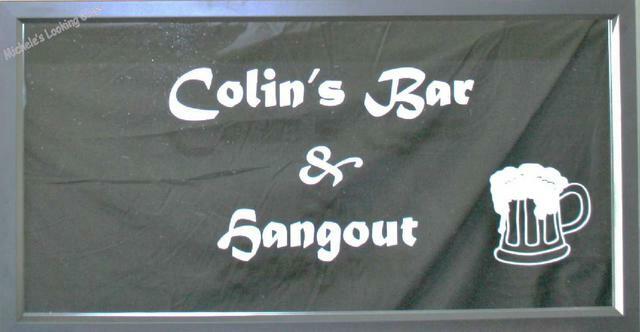 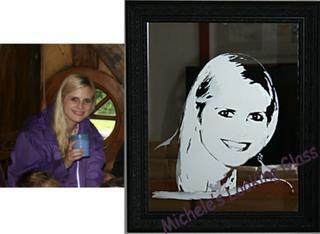 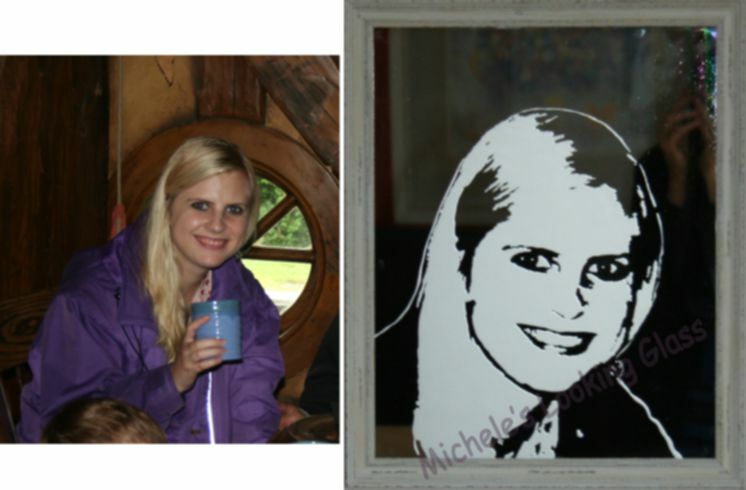 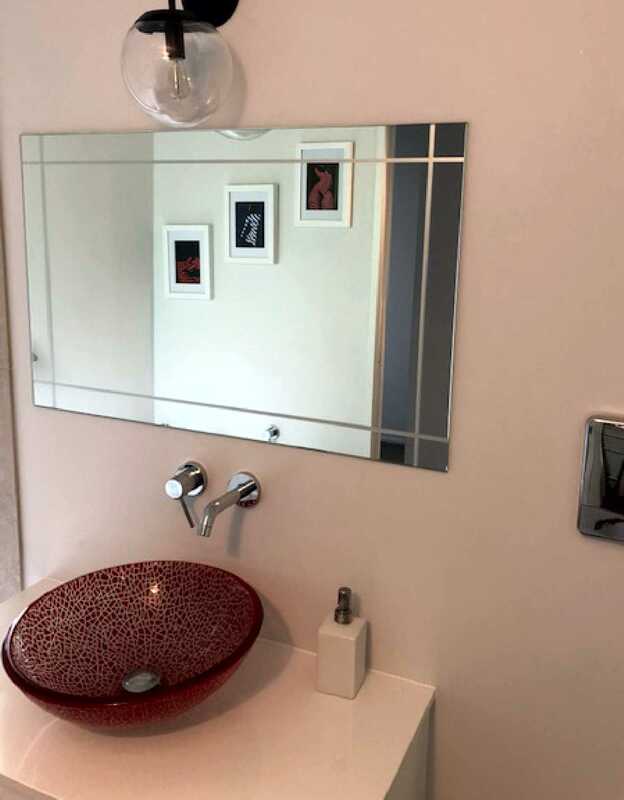 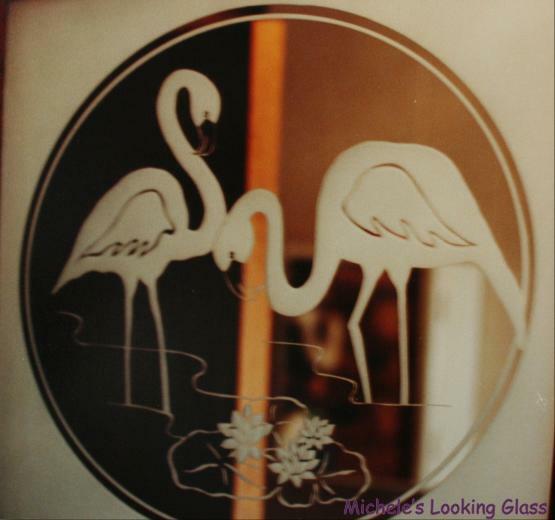 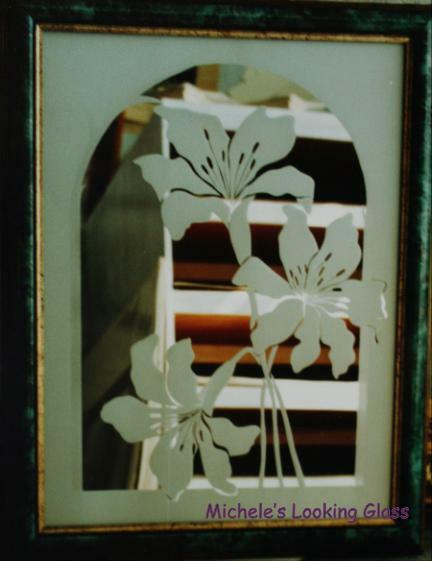 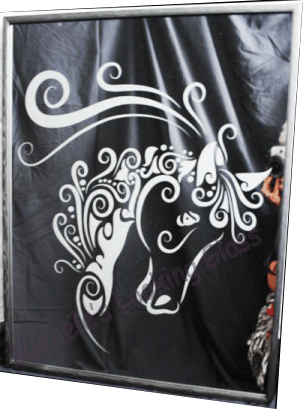 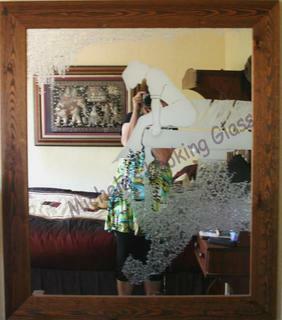 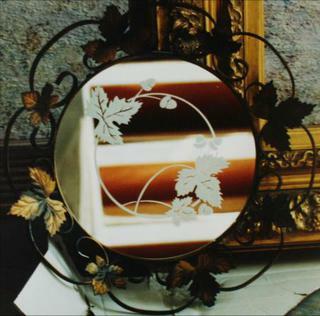 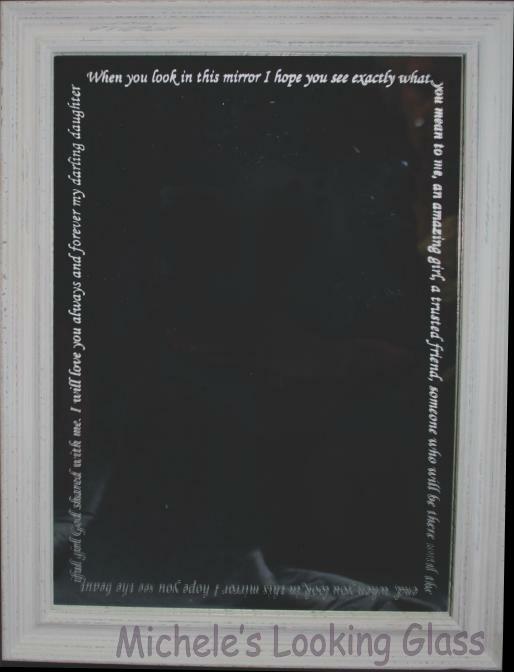 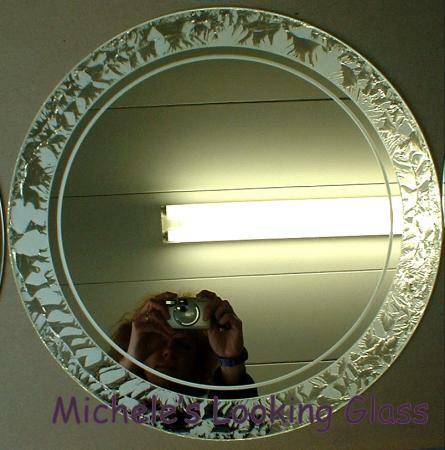 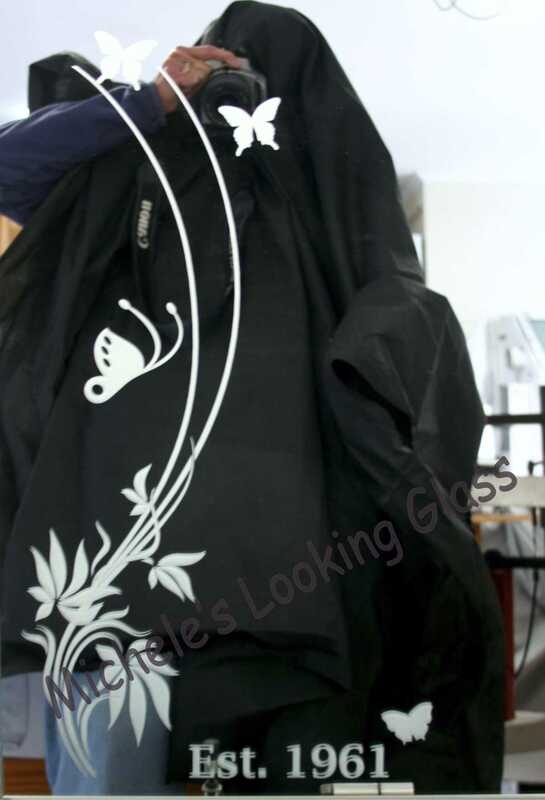 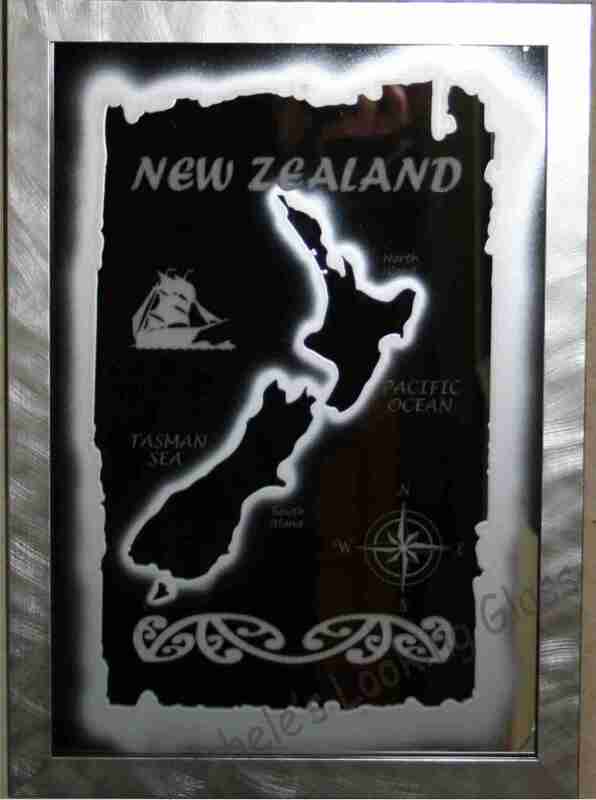 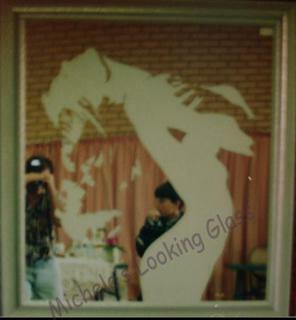 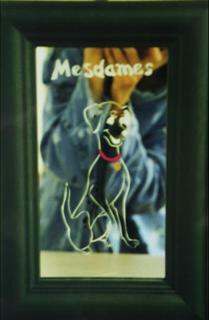 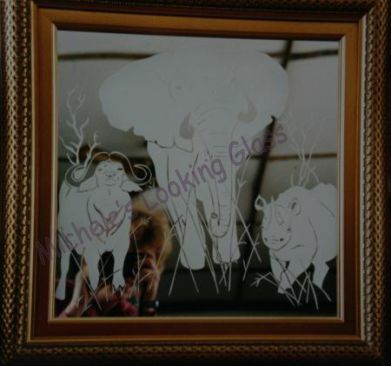 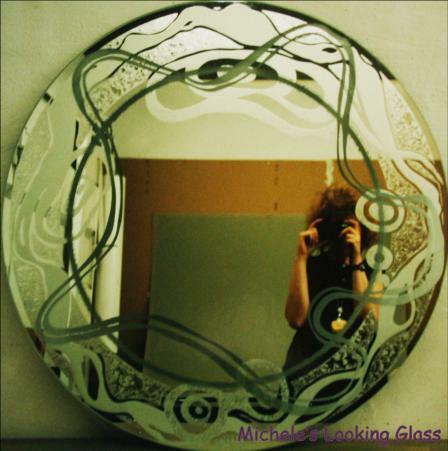 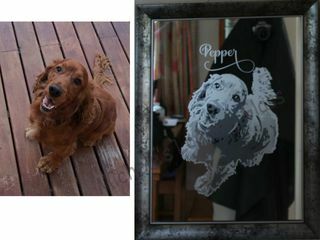 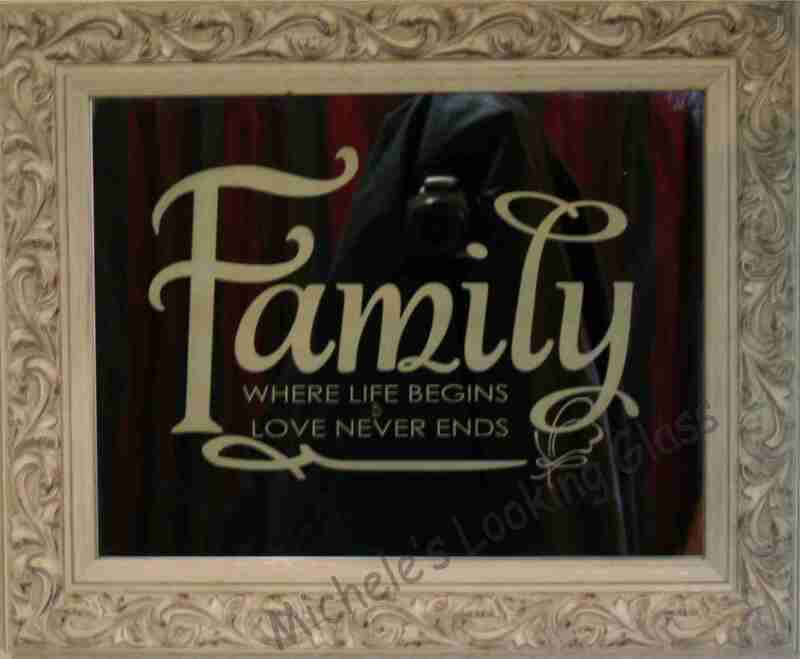 Whether you require a regular, beveled, framed or custom etched mirror, Michele can assist you. 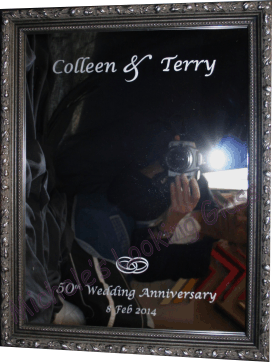 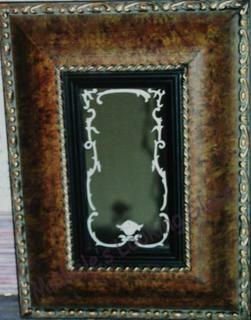 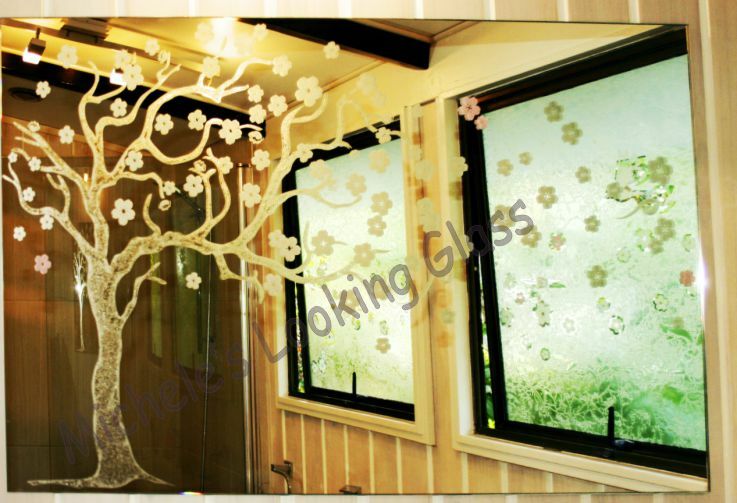 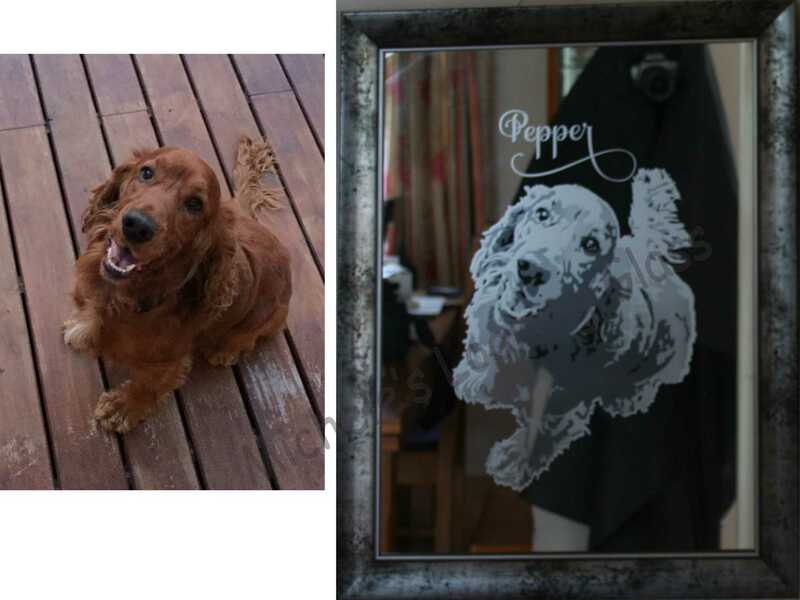 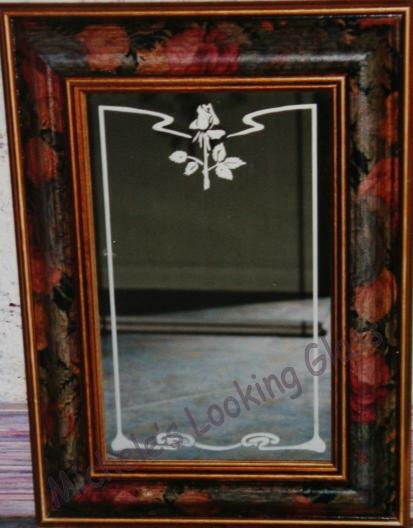 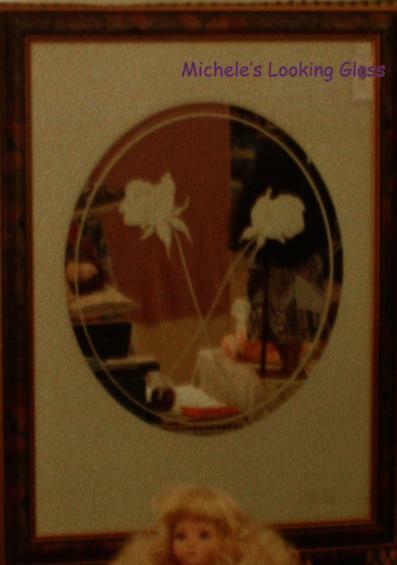 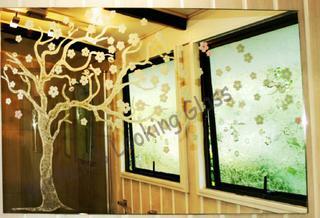 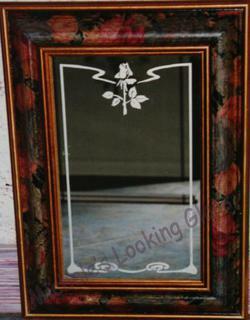 A lovely frame and/or etched design, can turn an ordinary mirror into a striking feature and conversation piece. 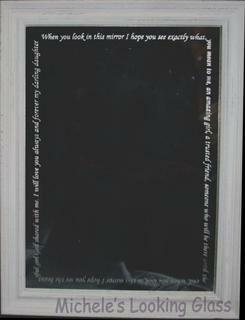 Notice how beautiful the light play is. 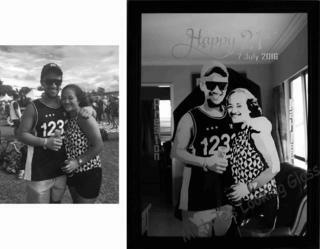 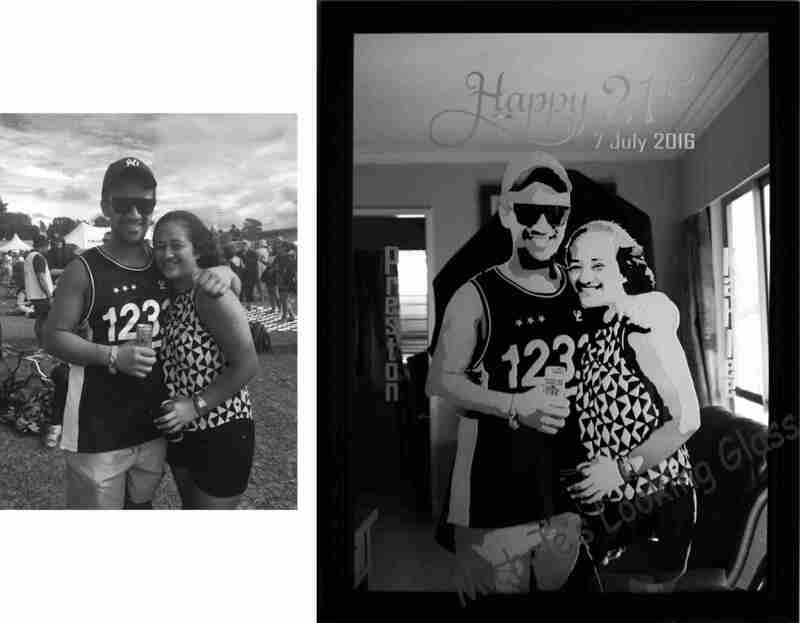 The twins turned 21 and this framed mirror was used at the function. The twins fought over the mirror, so the mom kept the original and they each got their own. The shading gives a lovely, subtle finish. The eyes have been touched up, subtle hair strands added and some other finishing touches added. This photo is only blasted solid and less time was spent on the artwork than the previous etching. 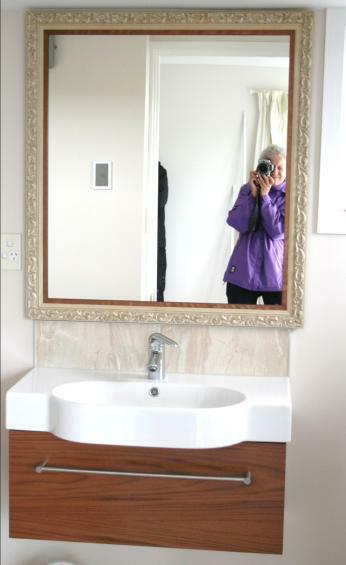 The mirror was etched from the back as well as the front for a more dramatic effect.